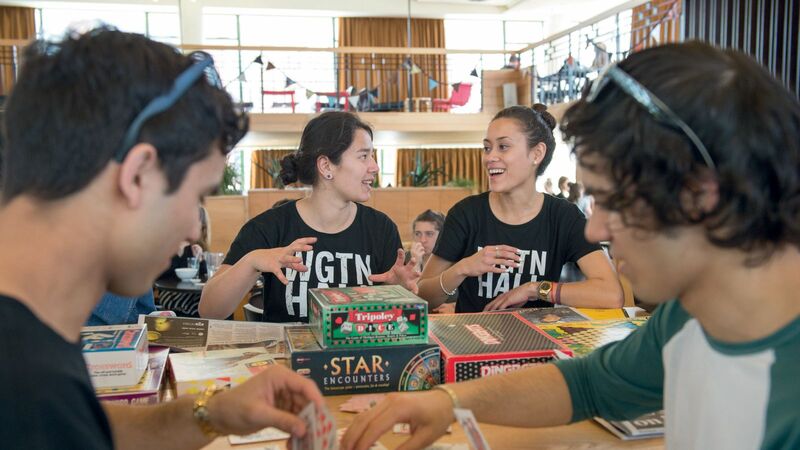 WGTN Hall is ‘a hall without walls’—a programme to help you get involved and make the most out of your first year at Victoria. WGTN Hall is a programme run by students, for students. The programme is aimed at first year students who are flatting, boarding or living at home, so that nobody misses out on the awesome first year experience at Victoria. It'll give you the chance to engage with others in the Victoria community and get involved in a range of social, cultural and sporting activities. WGTN Hall has senior students (hall coordinators) who help plan and run events throughout the year. They are there to encourage you to get involved and will help you navigate your way through your first year. Like us on Facebook to stay in the loop. Keep an eye out for the 2018 WGTN Hall Facebook page, which will include all the information about upcoming events and activities. For more information on WGTN Hall, phone: +64-4-463 5896 or email wgtn-hall@vuw.ac.nz. If you're living in Wellington already, or new to Wellington but flatting, you've got to join WGTN Hall. It's a virtual hall and a way to connect.